"Sampath Speaking" - the thoughts of an Insurer from Thiruvallikkeni: Deepavali release ~ it is different : bio-pic of a painter ! 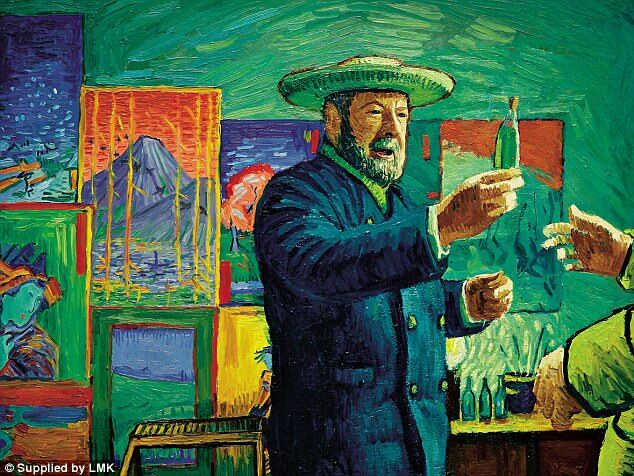 - Loving Vincent !! Deepavali release ~ it is different : bio-pic of a painter ! 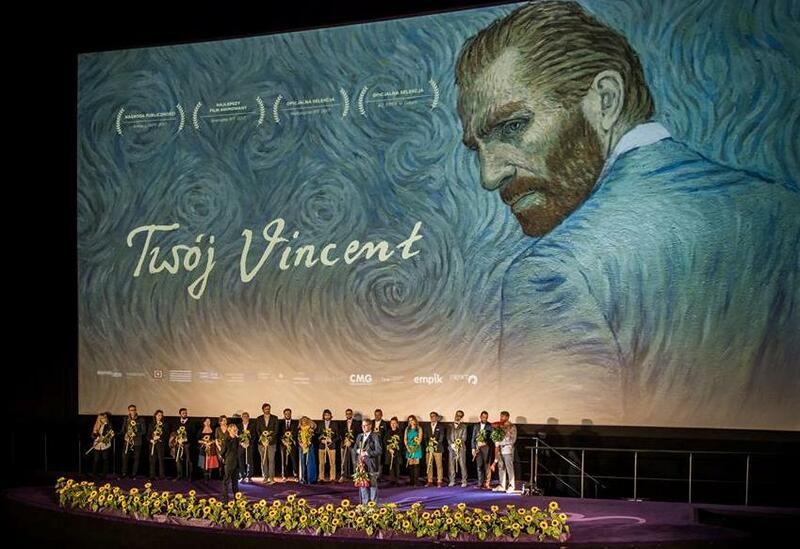 - Loving Vincent !! Vandichakkaram; Mazhalai pattalam; Soundaryame varuga, varuga; Andharangam Oomaiyanathu; Thoorathu idi muzhakkam; Ellam un kairasi; Geetha oru senbagapoo; Oru kai osai; Oru thalai ragam; Saranam Iyappa, Uchakattam … and more – some of the films released in 1980. Those were days when films would get released on Friday and more on Deepavali .. ..
Nizhalgal starring Nizhalgal Ravi, in his debut venture, in the lead and other newcomers Raadhu, Chandrasekhar, Rajasekar forming the principal cast, revolving around a group of youngsters and their struggles to overcome the challenges faced by them in society was a commercial failure ! ~ the other directed by K Balachander - Varumaiyin Niram Sivappu had Kamal Haasan and Sridevi in the lead roles too was a failure. My more knowledgeable classmates declared that Rajnikant starrer - Polladhavan directed by Muktha V. Srinivasan did well in collection ! Cinemas can be different though ! is what I read and understood .. .. .. ~ an year after the death of Vincent van Gogh, Postman Roulin requests that his son Armand personally deliver Van Gogh's last letter to his brother, Theo, after previous attempts to mail the item failed. Despite not having been fond of Van Gogh and recalling the incident when the deceased mutilated his ear and gifted it to a local prostitute, Armand begrudgingly accepts due to his father's affection for the painter. Postman Roulin acknowledges Van Gogh's mental illness and blames the other townspeople for ostracizing and driving him out. 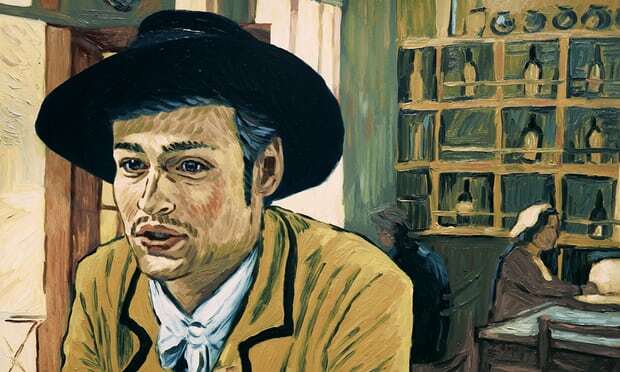 He also expresses bemusement about the cause of Van Gogh's death, as he had received a letter from him six weeks prior to the suicide that showed him in a calm and normal mood ~ that forms the storyline of a bio-pic !!! It is not the usual routine one ~ the production techniques and distinctive look of this picture, the first entirely oil-painted animation feature film in history, are perhaps more striking than the story – reviews state. Set 12 months after the death of Vincent van Gogh, the somewhat laboured narrative weaves together a group of disparate characters who all posed for the artist in a story that explores the nature of his death. Douglas Booth, playing Armand Roulin, is our guide, though this slight, episodic tale. There are sequences of extraordinary beauty – I particularly loved a scene that captured Vincent’s tortured countenance in reflection, shattered in the surface of the water of his washbasin. In the visual poetry of moments like this, the film comes closest to capturing the maverick genius of the artist, writes another newspaper review. Loving Vincent is a 2017 biographical animated drama film about the life of painter Vincent van Gogh. It is the first fully painted animated film. It is written and directed by Dorota Kobiela and Hugh Welchman, and is being produced by Hugh Welchman and Sean Bobbitt of BreakThru Films and Ivan Mactaggart of Trademark Films. The development was funded by the Polish Film Institute, and re-training of professional oil painters to become painting-animators on the film was partially funded through a Kickstarter campaign. 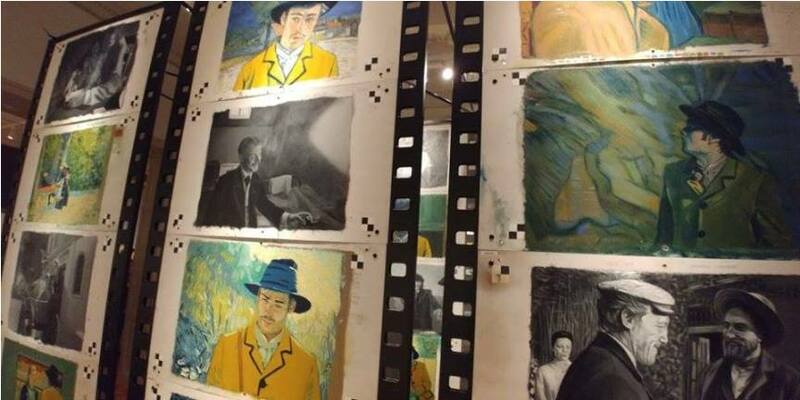 Each of the film's 65,000 frames is an oil painting on canvas, using the same technique as Van Gogh, created by a team of 115 painters. The film premiered at the 2017 Annecy International Animated Film Festival. Another review states that anyone with a fondness for the 1991 picture Van Gogh, however, is in for a disappointment. There are no cheerful prostitutes, no can-cans in Montmartre and no suggestion that van Gogh had an affair with the daughter of his physician, Dr Gachet. Also, van Gogh himself remains an elusive presence. Instead, Armand’s enquiries focus on the still-fascinating questions of where van Gogh’s gun came from, why he shot himself in the stomach and what happened to all his painting equipment. The end result is very good, though somewhat sanitised, and I’m not sure the rerecording of Don McLean’s Vincent really helps. In case you are to ask – whose bio-pic is this ? - Vincent Willem van Gogh (1853 – 1890) was a Dutch Post-Impressionist painter who is among the most famous and influential figures in the history of Western art. In just over a decade he created about 2,100 artworks, including around 860 oil paintings, most of them in the last two years of his life. They include landscapes, still lifes, portraits and self-portraits (selfies !!) , and are characterised by bold colours and dramatic, impulsive and expressive brushwork that contributed to the foundations of modern art. His suicide at 37 followed years of mental illness and poverty. As a young man he worked as an art dealer, often travelling, but became depressed after he was transferred to London. He turned to religion, and spent time as a Protestant missionary in southern Belgium. He drifted in ill health and solitude before taking up painting in 1881, having moved back home with his parents. His younger brother Theo supported him financially, and the two kept up a long correspondence by letter. His paintings grew brighter in colour as he developed a style that became fully realised during his stay in Arles in the south of France in 1888. During this period he broadened his subject matter to include olive trees, cypresses, wheat fields and sunflowers. Van Gogh suffered from psychotic episodes and delusions and though he worried about his mental stability, he often neglected his physical health, did not eat properly and drank heavily. His friendship with Gauguin ended after a confrontation with a razor, when in a rage, he severed part of his own left ear. His depression continued and on 27 July 1890, Van Gogh shot himself in the chest with a revolver. He died from his injuries two days later. Van Gogh was unsuccessful during his lifetime, and was considered a madman and a failure. He became famous after his suicide, and exists in the public imagination as the quintessential misunderstood genius, the artist "where discourses on madness and creativity converge". His lifestory perhaps portrays that of a tragic painter, whose troubled personality typifies the romantic ideal of the tortured artist ~ and the typical way the World casts genius after death while treating badly when living ! PS : as read and taken from various sources including Wikipedia, bbc, dailymail, independent, the sun, mirror, telegraph .. .. ..